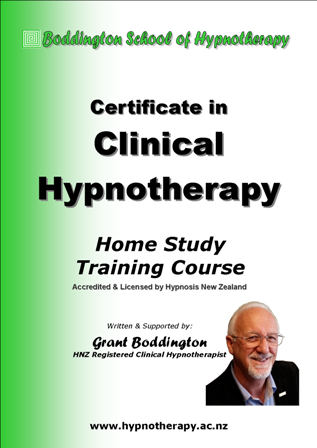 Contents of the NZ Certificate in Hypnotherapy Home Study Training Course. We are proud to provide the most comprehensive Hypnotherapy training and support for new & intermediate Hypnotherapists. Home Study Course Suitable for New & Intermediate Hypnotherapists. More New Content & More Advanced Techniques for 2019! Hypnosis, Hypnotherapy & Hypnotherapist Defined. Contraindicated Techniques Issues, Illnesses, etc. You'll Learn Professional Skills to Assist with all the Following Issues! The Home Study Certificate in Clinical Hypnotherapy Course features an extensive yet simple manual of over 100 pages. This manual is full of explanations and techniques (based on Grant's huge experience in Hypnotherapy) to help you hypnotise and assist people with many personal issues. It's available in either printed or downloadable variants. The downloadable online version is in an easily read pdf format. And soon be applying your new skills with friends, family & paying clients! 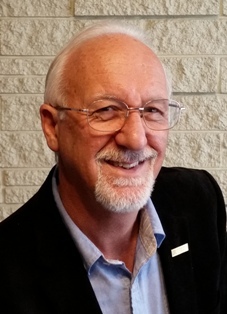 Call or text Grant Boddington 8:00am - 8:00pm - 7 days for more information on the new, 2019 version of this course! Cick Here to Chat with Grant!